Being the driving force behind the band is anything but a cushy job. 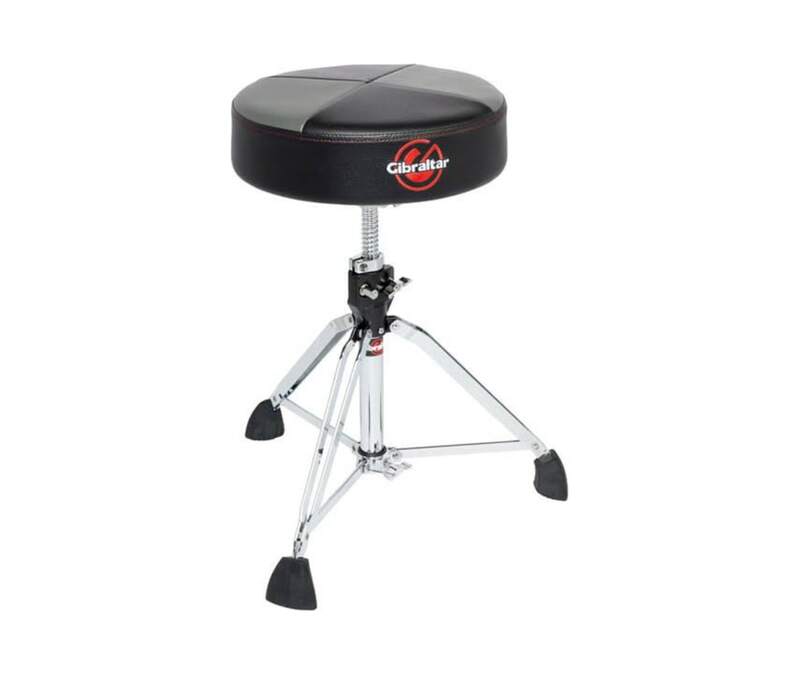 So to make what you do more comfortable, GIBRALTAR offers more models of thrones than any other drum company. You select the throne of your choice or if you prefer, you can purchase a seat of a base separately. Giving you a greater selection and more options are what make Gibraltar throne the leading brand in the market. Quarter panel two color design gives these thrones a one of a kind image Comfortable 13" x 3.5" round seat using top quality naugahyde material and memory foam.